Heating for New Construction in Zimmerman, Elk River, Otsego and Big Lake MN. Minneapolis, St Paul, Twin Cities MN metro area. 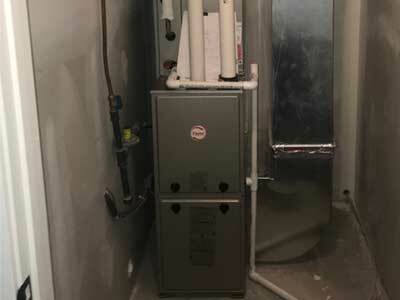 Complete new construction heating services for the Minneapolis, St Paul Twin Cities MN area. Whether your project is a single house or large development project, B & B Plumbing has you covered. B&B Plumbing has been working with new constructions projects since 2005. B&B Plumbing is very experienced with new construction and can offer your project many different solutions. B&B Plumbing has worked with everything from single homes, commercial buildings and apartment complexes.